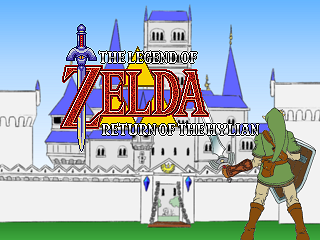 Here's a port of the game The Legend of Zelda - Return of the Hylian for the Dingoo A-380 and A-320e. I recompiled it to fix the L-R, X-Y button and screen issues on the Dingoo A-380. So apparently this device is not good and have been told by several people to stay away from it. Thought i would get more opinion, how does it run with custom firmware? If it wasn't good enough I would've dumped it a long time a go. I see what it can emulate, but can it emulate it well?. Just so yall know i'm not a hater ^_^. Just curious becuase i like the look of the system but every time i asked people about it they told me not to get it because slowdown and all sorts of issues in things like gba and snes..
default gba emulator is not great.. but not poor at all..
we have better alternatives for default emulators. except gba.. of cource, which device can emulate gba perfectly? default snes emulator is good.. but d_smagin ported a snes9x sdl emulator to a380.. so no issues..
slowdowns and other sorts of issues gone a long time ago.. I don't agree with that and I think that a lot more won't. The MAME emulator that comes with the Dingoo A-380 console works very good compared with the one that has been released lately. Back on topic. The Legend of Zelda - Return of the Hylian works flawless. Very good work from the author and also very good work from Shin-NiL. yeah, thanks for sharing this game, its really fun.